This talk has been rescheduled to Fall 2017, exact date TBD. This talk focuses on the Asia Pacific region and selected works by contemporary U.S.-based Asian American artists that engage themes of trans-Pacific circulation and global systems of cross-cultural exchange. These remarks reflect the profound impact of the turn toward transnationalism and critical regionalism in repositioning Asian American art and cultural criticism in the post-1965 era. These developments placed Asian American art in dynamic conversation with art and ideas emerging from Asian nations, the Pacific, and global overseas Asian communities. Referencing discourses of diaspora, transnationality, and globalization, the featured artworks provide insights into the formation of multi-sited points of attachment as contemporary artists cross and recross borders — physical, temporal, and psychic. Based on my current research in Hawai’i, this presentation also draws attention to islands as a generative framework to analyze and to compare art in the Asia Pacific region and the Americas. The Pacific, with more islands than the world’s other oceans combined, is above all an island realm. Accordingly Islands and associated oceanic imaginaries exert a powerful hold on works by artists who trace their ancestral origins to coastal East and Southeast Asia and Oceania. These artists’ endeavors not only underscore the idea of islands as multi-located historic and affective subjects but also provide a pivot to engage larger shared themes of trans-Pacific journeys, intercultural convergence, and the intersections between Asian diasporic and indigenous groups. 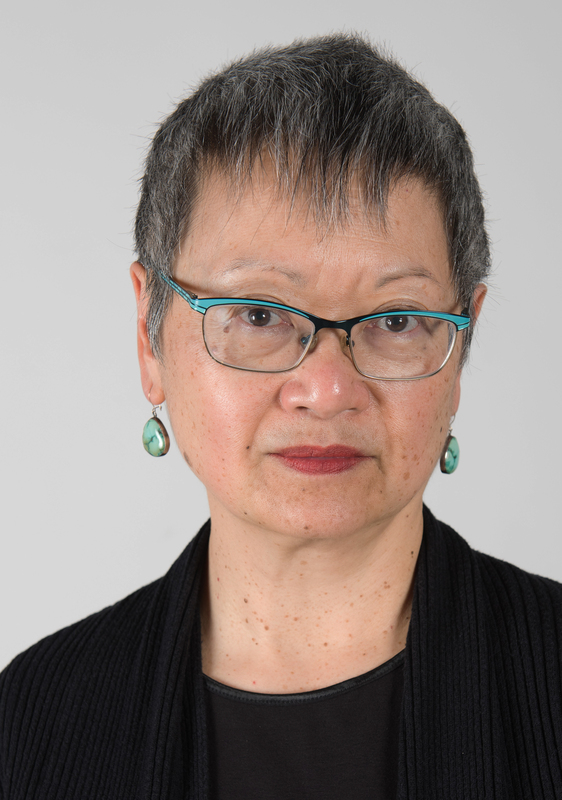 Margo Machida is Professor of Art History and Asian American Studies at the University of Connecticut. Born and raised in Hawai’i, she is a scholar, independent curator, and cultural critic specializing in Asian American art and visual culture. Her most recent book, Unsettled Visions: Contemporary Asian American Artists and the Social Imaginary (Duke University Press, 2009) received the Cultural Studies Book Award from the Association for Asian American Studies. She is co-editor of the volume Fresh Talk/Daring Gazes: Conversations on Asian American Art (University of California Press, 2003). Dr. Machida is an Associate Editor for the Asian Diasporic Visual Cultures and the Americas journal (Brill). Recent publications include: “Trans-Pacific Sitings: The Roving Imagery of Lynne Yamamoto” (Third Text, Spring 2014); “Devouring Hawai’i: Food, Consumption, and Contemporary Art” in Eating Asian America: A Food Studies Reader (New York University Press, 2013); and “Convergent Conversations – The Nexus of Asian American Art” in A Companion to Asian Art and Architecture (Wiley-Blackwell, 2011). Image caption: Alexander Lee, Recitations from the Great Fish Changing Skies, 2008, volcanic sand, coal slag, silicon carbide, glass, aluminum, epoxy, mineral pigments, wood, acrylic, polyurethane, dimensions variable. Courtesy of the artist.